Reception. Thanks to the programme providing access to sports centres, asylum seekers can enjoy a means of inclusion and socialisation when they arrive in the city. Providing support for asylum seekers from a multi-angled perspective means building in elements which go beyond food and housing. Barcelona City Council’s ‘Sports programme for refugees in Barcelona’ is a measure facilitating access to municipal sports centres so that refugees can engage in sport during the first stage of the state support programme. Sport is a complementary tool to help with their social inclusion in city life in a natural way, in the same places as the rest of local people. The sports measure, approved in 2017, works with organisations on the state asylum programme to open up the possibility for refugees to use municipal sports centres (CEM) free of charge. According to Joana Castro, a specialist working for one of these organisations, Bayt-Al-Thaqafa, the service is extended to everyone receiving support in their first few months in Barcelona. Of the 39 CEMs included in the measure, the three most suitable are selected according to places available, and users are assigned one of them. Proximity is also initially taken into consideration, but without concentrating people in one location. As explained by Pablo Peralta, a specialist with the ‘Barcelona, Refuge City’ plan: “The measure offers five places at each centre, understanding that journeys made to other parts of the city during these first months are a positive way to get one’s bearings in the city”. 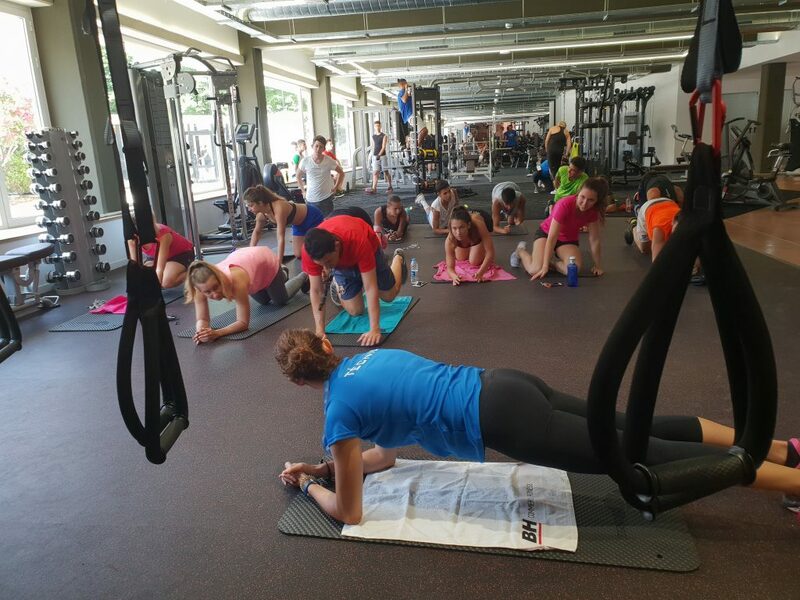 The Barcelona Institute of Sports (IBE), architect of the sports measure and responsible for managing the city’s CEMs, has made 39 sports centres with memberships available for the plan, with 100 places around the city. So far, they have been able to handle all applications, leaving nobody without a place. The IBE’s Eulàlia Dordal tells us that demand is greatest in Sant Andreu and Sarrià – Sant Gervasi, while the distribution of users is mainly around Sant Andreu, Horta-Guinardó and Ciutat Vella. She also explains that around 70% of users are men. Another opportunity opened up by the measure is for under-16s to take part in extra-curricular sports activities, with 8 minors currently taking advantage of this in Barcelona. Maryna, Javier and Angélica have been using the service for six months. Maryna has been able to extend that period by a further three months, as set out in the measure. 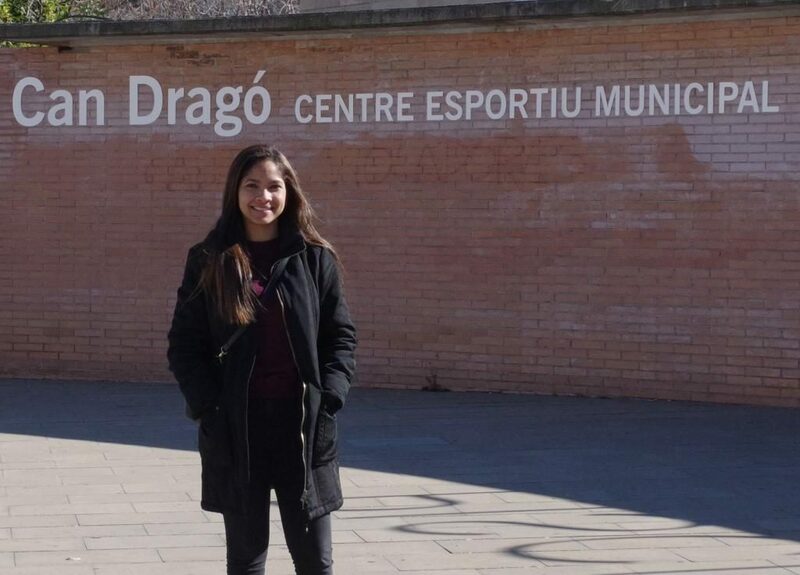 Maryna Haydarzky, a young Ukrainian pharmacist, is a user at the Les Corts CEM and usually goes there with her mother, who does less sport than her but makes the most of facilities such as the swimming pool and the sauna to relax. They are both very grateful to Bayt-Al-Thaqafa and the City Council, because as Maryna points out, everything we receive “helps us to live a more pleasant life and we’ve felt very welcome”. Javier Betancourt, a general contractor who came with his family from Venezuela, is also very grateful as sport has helped him stop thinking constantly about his situation, even before gaining a work permit, which he has just obtained and which will enable him to find a paid job and therefore access sports facilities like anyone else. Through the months that the programme lasted he went to the gym at the Trinitat Vella CEM every day to do spinning and use the cardio-vascular exercise machines. During the impasse of the first stage of the state programme he also opted to do unpaid work as a baseball instructor at the Carlos Pérez de Rozas municipal sports ground in Montjuïc. Angélica Castro, a lawyer from Venezuela, already has a work permit and took less than two months to find work in a warehouse. She’s happy because while she’s waiting for her papers and her university certificate to embark on the long and complex process to get it officially recognised here, she can lead an independent life. The first few months were very tough though, and she tells us that “sport distracted me from constantly thinking about my situation, more than anything about what I’d left behind by fleeing, such as worrying about my father. I started sleeping better as I was physically worn out, but I must say I felt part of the city and stopped feeling small and alien”. She’s grateful to the Red Cross, not just because of the chance to do sport, but also in general for the support and human warmth she has received. Sport connects them with reality and the rest of the population, on an equal footing. These three accounts confirm the importance of the social dimension of sport: the way it integrates, promotes coexistence and social cohesion make it an extremely appropriate tool in the case of refugees. The IBE and the ‘Barcelona, Refuge City’ plan also value the results of the programme very positively via the feedback from collaborating entities, which note the benefits of adding the service during people’s first few months in the city, a time when they are unable to work and when their hours need filling somehow. Also, because it requires no knowledge of the language or the city on the part of newly arrived people. Sport is a universal language and makes them feel part of this new world.